Lions Banes Intent to Defend Loggerhead! 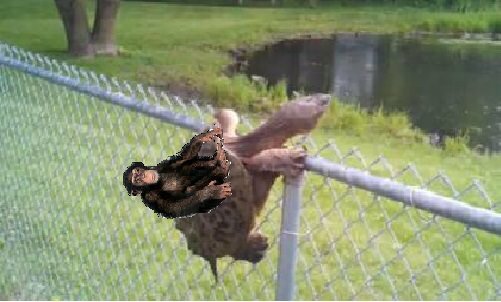 Anytime you see a turtle up on top of a fence post, you know he had some help. Lions Bane will be defending Loggerhead this weekend, come help us save the turtles! See the turtle of enormous girth, on his shell he holds the earth. If you want to run and play, come along the beam today. And Remember, your speed doesnt matter; Forward is Forward! Tops and Tokens: Yes Yes Yes! 10 years in, still here, baby. Can't find me? Im on Instagram! Good luck to ya Lion's Bane. We shall see which one of our turtles/tortoises/4-legged things of the order Testudines will remain on the top of the fence post that is Loggerhead once the smoke clears. Thank you Everyone who came out and Jobbed for Us! Lion's Bane is Back at Loggerhead this weekend!